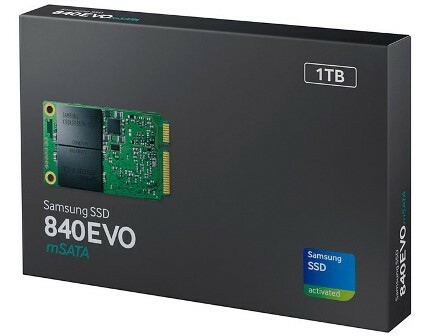 One of the most interesting product released this year is the Samsung 840 EVO mSATA SSD, following the success of the Samsung 840 EVO SSD series. This is not the first mSATA SSD on the market and it’s not the first 1TB SSD as well. But this is the first mSATA SSD to reach 1TB capacity. 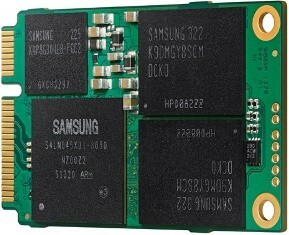 It features Samsung’s 3-core MEX controller, and Toggle DDR 2.0 NAND Flash memory. Aside from delivering ultra-fast sequential read/write speeds of 540MB/s and 520MB/s respectively, it also features AES 256-bit Full Disk Encryption and PSID which are hardware-based encryption engine to ensure that your personal data remain secure. Check out its complete specifications, price and where you can buy one. The Samsung 840 EVO mSATA SSD series is a must have solution for your PC upgrade specially for mobile devices with mSATA slots. Just like its Samsung 840 EVO 2.5-inch SSD counterpart, the 840 EVO mSATA is also capable of ultra-fast performance thanks to its updated firmware and TurboWrite technology that delivers dramatically faster sequential write performance. The Samsung 840 EVO mSATA power consumption is ultra-low, thus helps in extending the laptops battery life. The 820 EVO mSATA also features “Device Sleep” or DEVSLP mode for ultra-thin laptop PC and high-end main board of desktops as well. It also features “Dynamic Thermal Guard” algorithm that maintains optimal operating temperature. It is supported by Samsung Magician Software for managing the SSD. This utility also helps in maximizing the performance and lifetime of the 840 EVO mSATA SSD. Aside from the AES 256-bit encryption and PSID, it is also compatible with TCG/Opal 2.0 and IEEE1667 that offers authentication, configuration and policy management for government and large enterprises. Samsung 840 EVO mSATA is backed with the same 3-year limited warranty. Probably you are asking right now if you should buy one or not. Well, for starters, the Samsung 840 EVO mSATA SSD is a great upgrade specially for those who have an mSATA slot in their Ultrabooks, notebooks, laptops and other mobile devices, or if you have a motherboard that has an mSATA slot on it. 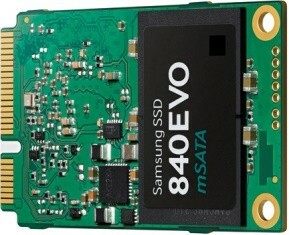 The Samsung 840 EVO 1TB mSATA SSD do come with a price. But if you consider its price/GB, it’s not that bad at all for an mSATA SSD. I would recommend this one if you are looking for a secure and highly reliable mSATA SSD solution and if you are looking for a 500GB or a 1TB solution. Below are their current respective prices and the links to where you can buy one. Prices are subject to change. Prices indicated below are already lower compared to its original list price. It might have gone down by the time you visit this page. Samsung Series 9 Premium Ultrabook NP900X3E-A02US – Faster, Better and Available!